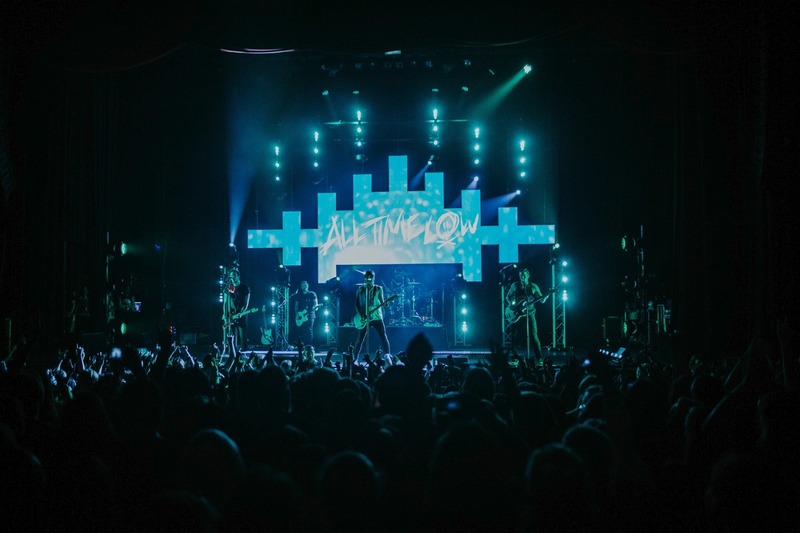 JR Lighting provided the lighting, rigging and control package for the U.S. leg of American pop punk band All Time Low’s “The Young Renegades” tour , a successful six-week run this summer that featured Elation Professional lighting and video. Maker had custom rigging stingers fabricated along with tensioning and balancing equipment to safely suspend the video wall. Optimized for high-pace setup and tear down with features like tool-less quick locks, the 4.8mm pixel pitch EMAG panels provided outstanding image quality and plenty of visual punch. Video processing was from an Elation-distributed Novastar NovaPro HD™. Helping to frame the video wall were one-meter long Elation SixBar 1000™ LED color-changing battens, multi-purpose strips used as special effects, chases and blinders, as well as pixel mapping. “The color mixing was great with the SixBars and they were super bright,” Maker said, adding that they had no problem holding up with the brightness of the video wall. Six SixBar fixtures were rigged vertically at different heights above the video wall with six hung vertically on floor truss. A further four were located on the ground (2 stage left and 2 stage right) facing the band midstage. Speced in the rig for the UK leg earlier in the year were Elation Protron 3K Color™ LED strobes. 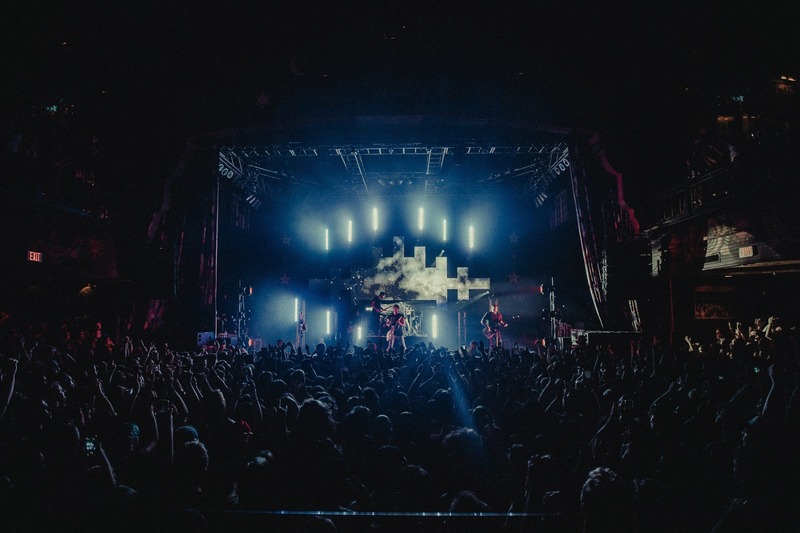 For the U.S. leg Maker turned to Elation’s high-power white light Protron 3K LED strobe with its 80,000 lumens of power and lack of thermal issues. “The Protron strobe’s role was to be a powerful strobe light that doesn't flicker or thermal during a full-on burst,” the LD stated. 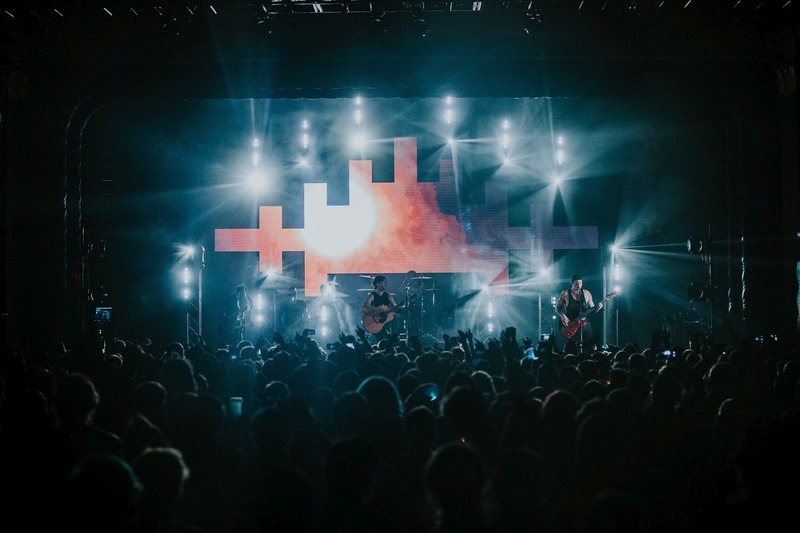 “Even though I only had four of them, due to their brightness and fast strobing effects, it looked like there were twice as many.” A single Protron strobe worked from in-between each floored SixBar with two Protrons positioned under the grated drum riser. A pair of DMX-controllable Antari Z-350 Fazers™ was used to provide adequate amounts of haze. “DMX control was great and they covered rooms big, small, and even outdoors beautifully,” Maker said. 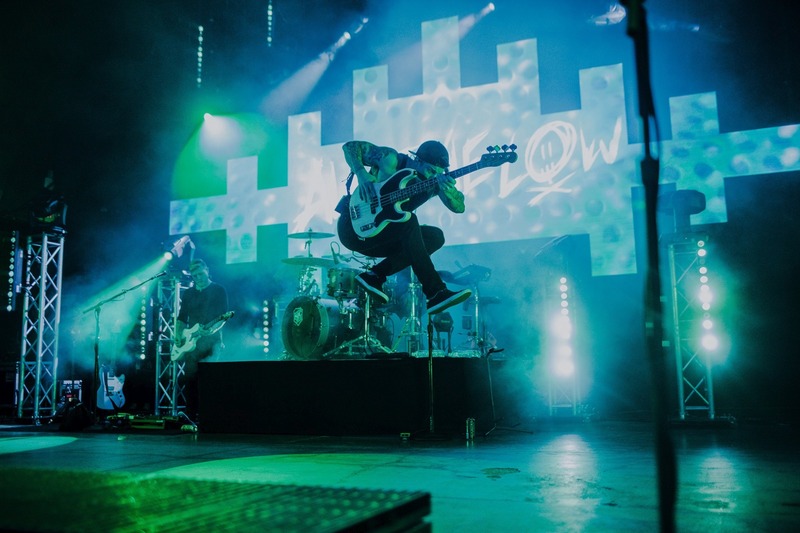 All Time Low’s U.S. leg of “The Young Renegades” began June 30th in Houston and wrapped up in early August. The band begins another European run October 6th in Oslo.